The Diamond 500 x 1600mm Curved profile towel rail is finished in chrome and features 26 horizontal 22mm diameter tubes. 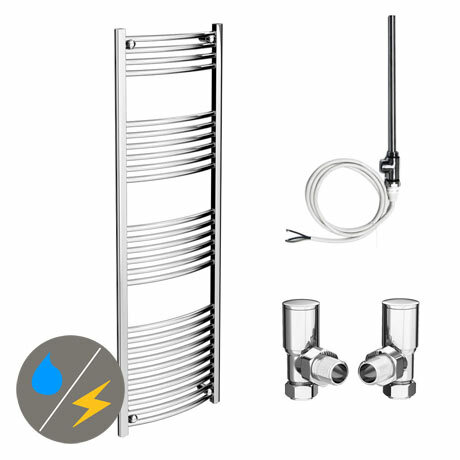 Designed to be plumbed into the main central heating system and used as a radiator/towel rail. It also can be wired into the electric mains for summer towel warming. Towel Warmer Heating Element, 400W 1/2" BSP inc Chrome Tee.